The scorching summer temperatures make the thought of spending hot afternoons in an air-conditioned room very appealing. Unfortunately, air conditioning has a huge environmental impact that most of us are unaware of. In fact, a typical room air conditioner, for example, uses 10-20 times as much electricity as a ceiling fan. Air conditioning also means more refrigerants, which in turn leads to potentially higher greenhouse gases. Try to grill or cook your food outdoors, instead of heating up the kitchen with the stove or oven. Put the slow cooker in the garage to stew your dinner. Try your hand at making a solar cooker or outdoor wood-fired pizza oven! Allow dishes to air dry in your dishwasher as this reduces heat emission. Keep the dishwasher door closed after the wash cycle as they air dry, as this prevents hot air from spilling into the room. Set up a clothesline for clothes to dry outdoors rather than using the dryer. The added benefit from doing this is that you’ll enjoy that fresh outdoor scent that can’t be replicated by a bottle! You can avoid excess heat in the kitchen and cool your body down by eating more fresh salads, raw dishes, and no oven recipes. 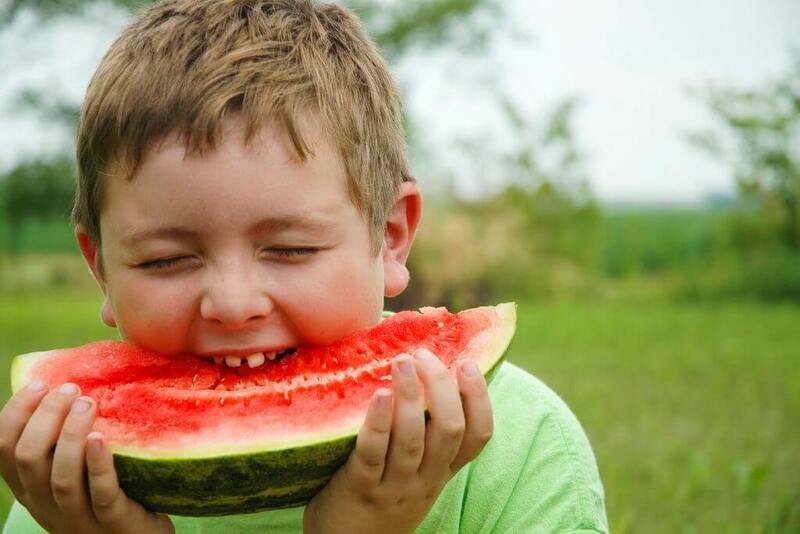 Furthermore, eating raw foods like cucumber and watermelon, as well as herbs like mint that have an inherent cooling nature, is a great way to replenish your body with fluids and keep you energized through the energy-sapping summer months. Similarly, drinking water regularly will keep you hydrated, ensuring perspiration to keep the core body temperature down. Ultra-hydrating drinks include water, herbal teas and natural juices. Coconut water especially helps replenish electrolytes, and it also tastes amazing! Keeping your pulse points cool is an age-old practice followed all around the world to beat the heat. For example, people living in the Sahara cover their necks with scarves not only to guard themselves against the sun, but also because the neck contains vital pulse points. Pulse points are areas on the body where you can feel your pulse because your blood vessels are close to the surface of your skin. Because they are so close, you can cool off your blood and body temperature by getting the area in contact with cool water. Your neck, wrists, ankles, inside of the knees and elbows, inner thighs, temples and forehead are all pulse points that relay the sensation of coolness to the rest of your body when they are cooled! Keeping these points cool through the use of wet handkerchiefs, ice cubes, or water can bring down your body temperature fast—even in the desert! Your clothing choices play a big role in how hot or cold you feel. The color white is proven to reflect the sun and keep you cooler. In fact, in hot countries like India, whitewashing the roof of a house is a common practice as it brings down the indoor temperature by 5-10 degrees! So it stands to reason that wearing white clothes and other light colors will help you keep away the heat. Choosing breathable fabrics like cotton also protects you from high temperatures due to its light and airy nature. Avoid synthetic fabrics like nylon and spandex, and opt for free-flowing, pastel linens in the summer months. COIT recommends using cotton sheets to sleep on, advising people to choose percale weave over sateen for optimal coolness, and to not be fooled by ultra-high thread counts—higher thread counts don’t always equate to higher quality, and can be much warmer than lower thread count sheets. If you absolutely need to cool off in an air-conditioned environment, then choose a public space. Places like malls, libraries, and cafes use their air conditioning to maintain pleasurable temperatures within large areas. These public spaces cool many people down at one time, which is more beneficial for the environment than each of those individuals using their own ACs in their homes. It’s the same concept as carpooling rather than driving your own private vehicle to work everyday. Even though it may not seem like much, the long-term effects of these green practices are considerable. These five tips should help keep you cool this summer, no matter where you are, with minimal damage to the environment. 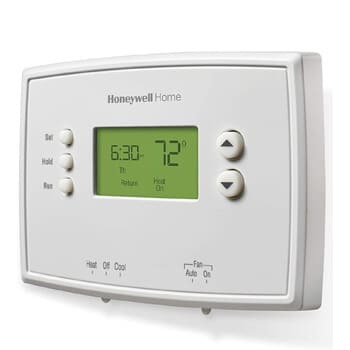 Obviously there will be days when you need to resort to AC, and when you do, be sure to use these tips to conserve energy (and money!) on your bills. 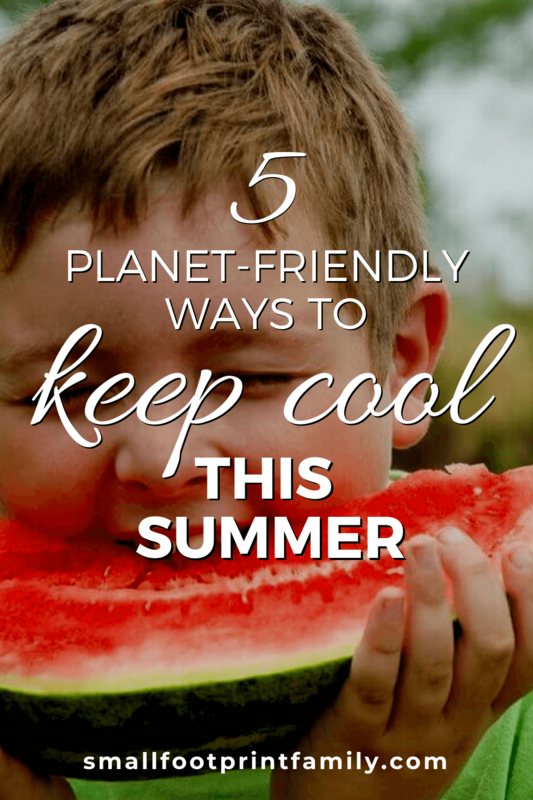 Do you have any green ways to keep cool? Share them in the comments below! You forgot to mention traveling to North Pole for the summer. You should consider putting cotton cover on your leather sofa or upholstering your leather sofa to cotton. I love the ideas to keep it green. Use public places and use ovenless recipes. If everyone pitches in it makes difference.